SINTEF is an independent research foundation with 2150 employees. Contract research carried out by SINTEF covers all scientific and technical areas, and ranges from basic research through applied research to commercialisation of results into new products and business ideas, for both the domestic and international markets. SINTEF’s annual turnover is approx. NOK 2 billion. Contracts for industry and the public sector generate more than 90% of our income, while only 7% comes in the form of basic grants from the Research Council of Norway. SINTEF is represented in this consortium by the Department of Applied Mathematics, which is part of the SINTEF Institute of Information and Communications Technology. The department has long traditions within simulation, geometry, as well as research related to GPUs and modern parallel architectures, computer graphics and optimization. Carlo Mannino is Senior Scientist at SINTEF ICT, and Professor 2 at the University of Oslo. He participated in many projects funded by the European Union. He has over 50 publications, including several papers on key journals of Operations Research and Management Science; he has been invited to hold various plenary talks and he is currently member of the Editorial Board of various journals, including Operations Research. He also received the EPA award 2009 from the Association of the European Societies of Operational Research, and the Best Paper Award 2014 from the Telecommunication Section of the American Institute for Operations Research and Management Science, besides other minor prices. Dag Kjenstad is Senior Scientist at SINTEF ICT. He received his PhD in Supply Chain Management from the Department of Production and Quality Engineering, Norwegian University of Science and Technology in 1998. He has a number of publications in transport and logistics optimization and is currently the project manager for the intermodal journey planning initiative DYNAMO at SINTEF ICT. Dag has 10 years of experience from a management position within the public transport sector. 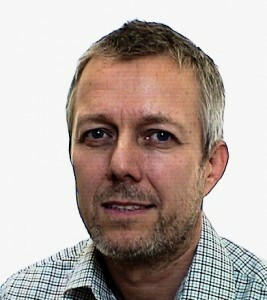 He is currently a part-time consultant regarding public transport for the City of Oslo. He is also currently involved in SESAR joint undertaking on real-time optimization of airports.